The Jewish community in Bobruisk, Belarus rejoiced last week as long-awaited construction on the site of the historic city synagogue began. The site, which holds the remains of the Shoichet’s synagogue, once a famous city landmark, was transferred to the community by the regional government in 2015, and now, after three years of fundraising and planning, the construction finally began. The two-storied remains of the old synagogue will be preserved and renovated, with stained-glass windows and painting filling the window apertures. Next to it will be an open space dedicated to interactive events, expositions, and activities. 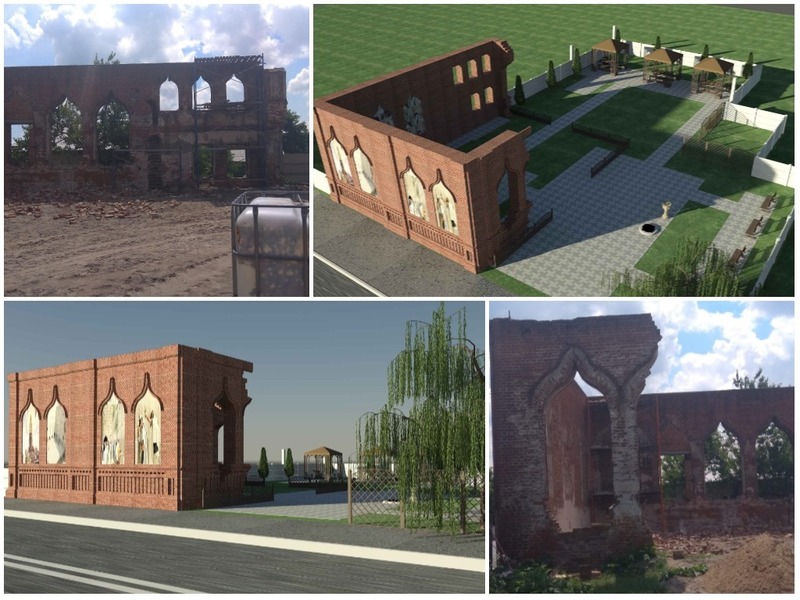 The community hopes that in the following years an open-air museum dedicated to the rich history of Jews in Bobruisk will also become a part of the installation. “Belarus is a country with a unique Jewish past, and yet there aren’t many places that carry this heritage to the wider public, and we would like our Bobruisk ‘Jewish court’ to fill in this void,” Rabbi Hababo said. Bobruisk was considered the “Jewish capital” of Belarus at the turn of the 20th century, with many prominent Jewish intellectuals, politicians, artists, writers and religious leaders living and working there. The reconstruction project is pioneered by local activists Moshe Parkenvald, David Galant, Gena Rabkin and many others.